The people behind NFPT are often times the same people that you can call up and chat with on the phone. Customer care is our number one priority. You won’t call and get a complicated voice messaging system (unless it’s after hours, then maybe). We’re here to help you personally. If you have questions about certification, continuing education, renewing your credential, or just about anything – we are all just a phone call or email away. 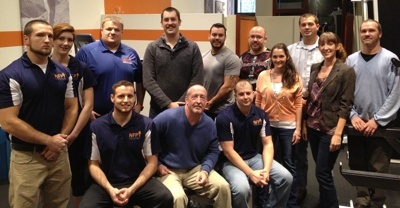 NFPT started over 25 years ago as a small family business, and we’ve been blessed with growth. But we’ll always be grounded in the love for family first no matter how many employees, independent contractors, consultants or IT experts that NFPT adopts – we’re all part of the same NFPT Family Tree of Trainers. Ron started his life’s journey when he moved from a small farming community in Indiana to the big city of San Diego, California (specifically, Camp Pendleton) where he served in the United States Marine Corps as Staff Sergeant from 1974-1978. He studied at Saddleback University in Mission Veijo during his enlistment, but a field training accident sent him home early. But that didn’t stop him, he continued his study of Biology, Anatomy, Physiology and Applied Nutrition at Ivy Technical College when he returned home. He studied hard and he trained harder, to rehab his injury, at first. A couple of years into it, he was a full time competitive bodybuilder, winning Hoffmiester, Mr. Indiana, Mr. Purdue, AAU and NPC titles. You could say he got ‘addicted’ to weight training. He was already intrigued by the science behind what the human body can do, but now he knew how to do it better. 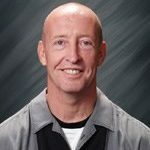 He made quick order of getting certified as a personal trainer and turned his passion for training into The Fitness Clinic, a private personal training studio in Lafayette, Indiana, 1982-1991. Years after opening the studio, his ambition evolved into NFPT. Ron has never been known to do anything half way. He started the Ethics and Safety Compliance Standards Committee and was the sole Owner and Publisher of Personal Trainer Today Magazine. He is a nationally published author (over 30 feature articles: 1988-92): Ironman, Muscle Media 2000, MuscleMag, Muscular Development, Men’s Health, EMO and others. And, in his spare time, he put in 20 years on the Lafayette Fire Department. Ron has since retired from fire fighting and personal training, but he’ll always be the Father of NFPT. Angie Pattengale started working for her dad, Ron Clark, in 1994. By 1996-ish, she was working with him, and then several years later he put her in charge of the direction of the NFPT certification program. Before that, she had worked for many years waiting tables to put herself through college, and she’ll never forget or under-appreciate that experience. In fact, she thinks that everyone should have the experience of waiting tables for at least a year of their life, it’s a unique part of the service industry that you can’t truly appreciate unless you’ve done it. Angie’s love for her family and the NFPT family kept her from going anywhere after she graduated. Her degree comes from Purdue University’s Krannert School of Management with studies in Business Management, Economics, Human Resources and Psychology as well. She has been a part of NFPT for over 20 years, serving as NFPT’s Certification Director for the last 12 of those years. She strives to maintain the NFPT Certification mission as it relates to health, consumer safety and industry authority for qualified trainers. Angie oversees the coordination of test development and delivery, and accessible certification maintenance. 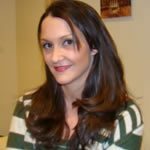 She works to promote and protect NFPT certified personal trainers by managing and coordinating efforts related to industry recognition and accreditation standards. Angie does growth and development stuff. Billie keeps his pulse on the fitness industry. He knows the names and the games. He married the Certification Director in 2008, she married him too. They got to know each other around the water cooler – he started working with NFPT in 2003 as a customer service rep. Billie still helps in the area of customer service, but he mostly assists NFPT trainers with their continuing education (CE) and helps CE Providers to get set up as pre-approved so that there are more opportunities for accessing CECs. Billie enjoys his role as social media guru, and resident health nut. He’s moved up the ranks over the years and has settled in to what he really enjoys doing, playing on Facebook and Twitter. If you have a question about continuing education, the names and games of industry players, or something cool to share on NFPT social, Billie’s your guy. April Pattee started working for her dad, Ron Clark, in 1996, shortly after seeing her sister make a-go of it and enjoying her job. April is the most organized and approachable of all NFPT staff. No matter the kind of day she’s had, she always wants to help. A lot of times, she’ll be the one to pick up the phone before any customer service reps because she wants to know the needs of NFPT trainers and she wants to help be apart of making things happen for people. It is no surprise that her degree, from Purdue University, is in Organizational Leadership and Supervision. April started off in packaging and distribution, but it wasn’t long after that her strengths in leadership and customer relations shown through. April has been a part of NFPT for nearly 20 years, serving as NFPT’s Human Resource and Office Manager for over 10 of those years. She runs a tight ship and she makes sure that everyone dots the I’s and crosses the T’s. April oversees NFPT employee, vendor, IC and trainer relations. She’s a people person, she may even help you the next time you call. Jason makes sure that you get your stuff on time. He oversees the distribution department, and keeps it on lock down to be sure that only him and his assistant can order, print, receive and ship NFPT material. Jason used to construct and maintenance large industrial machines, until his wife, April Pattee, said ‘I have a job for you’. He thought that maybe the job would be temporary, but it has been nearly 10 years since Jason came on board with NFPT and he’s not looking back. Both April and Jason have a very fine attention for detail, and it still shines through in the work today. Jason is an advocate for the NFPT trainer. He helps and serves in anyway that is necessary and he always thinks of the NFPT trainer first. 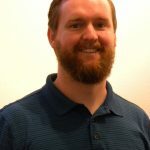 Whether it be a change in the technology that NFPT uses or additions to the certification program, Jason will always look at the trainer’s perspective first. Andrew has been tinkering with computers since before he could read. He is one of the very fortunate few of his generation who has had a computer his entire life. His love of computers was nurtured by his father who taught him how to use the DOS operating system before he could read the words he was typing. By age 10 he was constructing computers with his father. He published his first web page over 20 years ago, and his love of computers continued to grow along-side the technological boom brought on by the internet. He holds a degree in Computer Information Systems with a minor in Web Management. He worked as a programmer, project manager, and freelance web designer for many years before landing at NFPT in 2013. 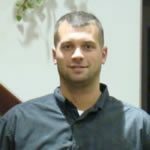 Felix, NFPT-CPT, Master Trainer, CSCS, has been in the fitness industry for over 25 years with a Bachelors Degree in Physical Education, a Minor in Exercise Science, and is currently working on earning a Masters in Health Education. 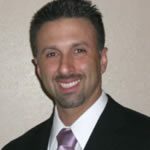 He founded and created the workshop division of the National Federation of Professional Trainers (NFPT) in 2003 opening up the first NFPT Personal Trainers School in Florida and expanding it into a worldwide department. He has certified close to 7,000 local and worldwide fitness professionals with his workshop department of the NFPT and provides yearly CEC options to more than 100,000 trainers and club owners. 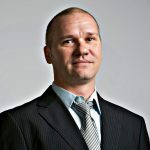 Felix has also focused his skills on writing and presenting CEC workshops for the NFPT, NSCA, ACE and NASM and can be seen presenting or exhibiting at annual IHRSA, IDEA and Club Industry Events as well as at weekly seminars and workshops held worldwide. 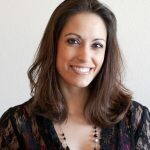 Dr. Erin Nitschke, NFPT-CPT, NSCA-CPT, ACE Health Coach & Fitness Nutrition Specialist, and Pn1 is a health and human performance college educator, fitness blogger, mother, and passionate fitness professional. Erin directs, develops and supports NFPT Education Partner initiatives in colleges and universities nationwide. 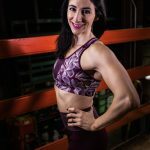 She has over 15 years of experience in the fitness industry and college instruction. Erin believes in the power of a holistic approach to healthy living. She loves teaching her clients and students to find an equilibrium between all dimensions of wellness with focused skill development that ultimately supports body harmony. 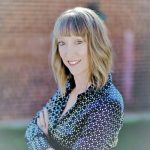 Erin is a regular columnist and contributing author for The Sheridan Press, LiveWell, the Casper Star Tribute, IDEA Health & Fitness, ACE and NFPT.